81,914 Archeological Finds Recorded: 1,303,504 Objects Listed on the PAS Database. Late Iron Age Ornament, Compton, West Sussex. PAS Report. The annual report of Britain’s Portable Antiquities Scheme and Treasure Act for 2016 was released at the British Museum in London in early December 2017. 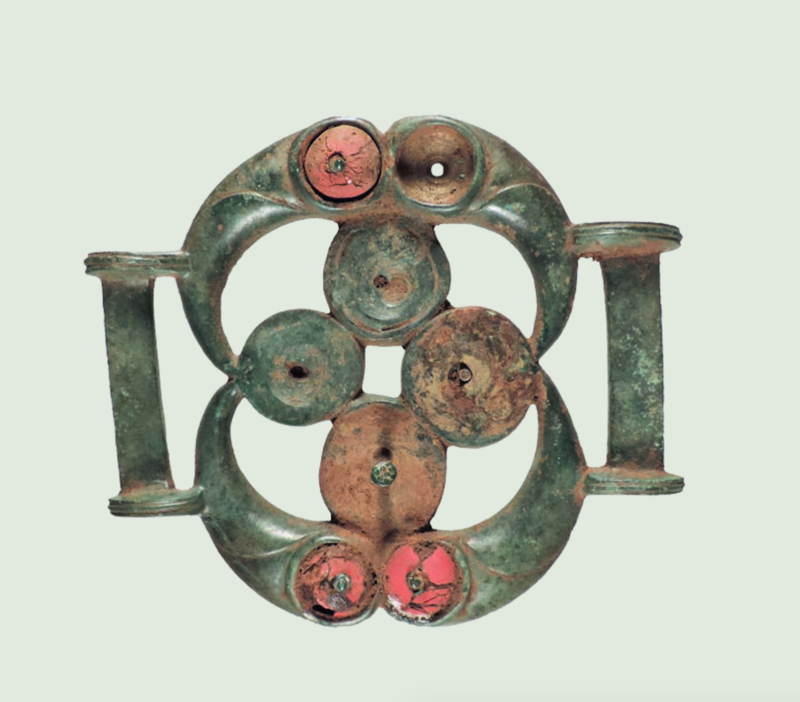 This year’s highlights include a record 1,120 Treasure finds, a plethora of Bronze Age objects including rare arm rings, a late period coin hoard, and a rare copper-alloy anvil. The 2016 annual report also included a revision of the Code of Practice for Responsible Metal Detecting in England and Wales. 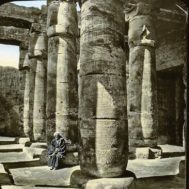 The Portable Antiquities Scheme (PAS), which began just one year after the Treasure Act, is managed by the British Museum and the National Museum Wales, in conjunction with 119 national and local partners within England and Wales. It is a highly successful government program that makes illegal digging unattractive by financially rewarding finders who report discoveries immediately to government archaeologists. Professional archaeologists take over the excavations, and all objects are documented on an accessible database. The government has the opportunity to acquire found objects at fair market value. If the government is not interested, after documentation and analysis, the finder may keep the objects or sell them on the open market. This transparent partnership between metal detectorists, and amateur and professional archaeologists has become the world’s most successful method of preserving and recording archaeological finds. 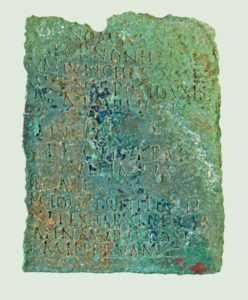 DUR-C3E4FE Copper-alloy diploma from Lanchester, County Durham, granting Roman citizenship to a Briton who served in the Roman navy. PAS Report. The Treasure Act 1996 is the legal basis for PAS. It established the legal obligation of finders of potential Treasure to report their finds to the local coroner. 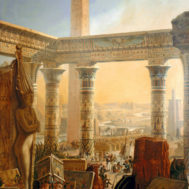 Finders are rewarded at full market value if their finds are acquired by a local or national museum. Many finders waive their right to a reward. 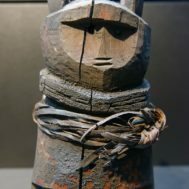 “Of the 14,000 Treasure finds over the past 20 years, 40% are now in museum collections which can be enjoyed by local communities and the wider public.” reported the British Museum. PAS created the Code of Practice for Responsible Metal Detecting in England and Wales in 2006 to guide detectorists in the responsible finding and reporting of objects. NLM-DD07EF Discoid pendant from Burton upon Stather, North Lincolnshire. PAS Report. That “99% of PAS finds were recorded to the nearest 100m, the minimum requirement for findspot information for Historic Environment Records,” speaks to how seriously metal detectorists take their responsibility. 81,914 finds were recorded; a total of 1,303,504 objects listed on the PAS database (finds.org.uk/database) to date. Almost 88% of finds were discovered by metal-detectorists. 90% of finds were found on cultivated land, where they are susceptible to plough damage and artificial and natural corrosion. 99% of PAS finds were recorded to the nearest 100m (a 6-figure NGR), the minimum requirement for findspot information for Historic Environment Records. 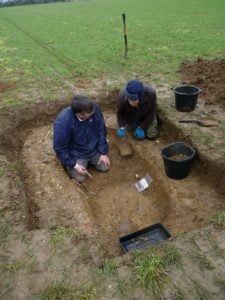 New sites discovered through finds recorded by the PAS include a rural Roman farmstead in Shropshire, an Anglo-Saxon cemetery in East Yorkshire, and a medieval kiln in Cumbria. Currently 740 researchers have full access to PAS data, and there are 10,633 registered users in total. To date, PAS data has been used in 599 research projects, including 25 pieces of large-scale research and 125 PhDs. 326,502 unique visitors visited the PAS websites and database, making 652,079 visits and 5,777,326 page requests. Publications associated with the work of the PAS include reports in Britannia, Medieval Archaeology and Post-Medieval Archaeology. Over 524 outreach events took place, including talks, finds days and exhibitions. These were attended by at least 32,569 adults and 2,699 children in museums across the country. Finds Liaison Officers had regular contact with 114 metal detecting clubs, attending 502 club meetings. 1,120 Treasure cases were reported, the largest number ever in a single year. It is hoped that many of these will be acquired by museums for public benefit. 96% of Treasure finds were found by metal-detectorists. 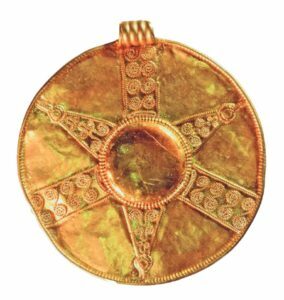 Important new finds include five gold Iron Age torcs from Leekfrith, Staffordshire (2016 T1037), an Anglo-Saxon pendant from Binbrook, Lincolnshire (2016 T212) and 914 gold sovereigns found in a piano in Bishop’s Castle, Shropshire (2016 T969). Winfarthing grave. Copyright Tom Lucking. PAS Report. Ninety-eight parties waived their right to a reward in 57 Treasure cases reported in 2015; this figure is likely to increase as cases are completed. Donations from finders included Bronze Age basket ornaments from Whitchurch, Hampshire (2015 T72), a medieval piedfort from Kenninhall, Norfolk (2015 T108), and a 17th-century vervel from Wiveton, Norfolk (2015 T629). The PAS system in Britain led the Netherlands to study implementing a similar scheme in 2016, to be known as PAN, Portable Antiquities of the Netherlands.